It’s been three years since Disney launched its company-wide Disney Magic of Healthy Living initiative and in the past two years sales of Disney-branded healthy snacks has tripled. 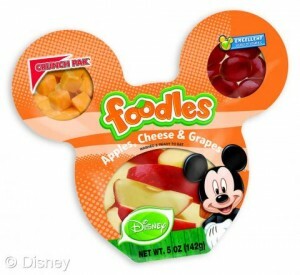 Disney Consumer Products has created Disney-branded fruits, vegetables, snacks, and lunches as part of the Magic of Healthy Living initiative. The products include Foodles snack packs with fruits and cheese, Crunch Paks featuring fresh fruit, and Marvel-themed Snackers packs that feature fruits, cheese, and pretzels. More than 3.1 billion servings of Disney-branded fruits and vegetables have been sold since the Magic of Healthy Living initiative began. At the recent Produce Marketing Association Fresh Summit Convention & Expo, Disney Consumer Products introduced products featuring Marvel and Star Wars artwork.